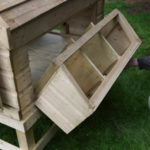 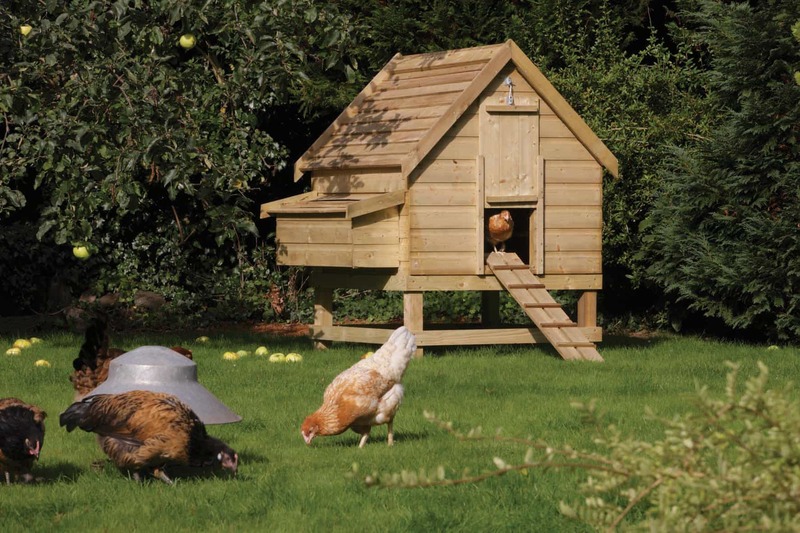 Comfortably houses 6 chickens, with a 3 compartment nesting box. 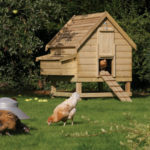 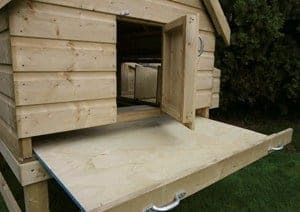 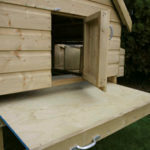 Dimensions: 1.58m h x 1540mm w x 1230mm d.
All coops come with internal perches, nest box with removable lid for easy egg collection, a slide opening door with hook support, a ramp, and a rear door for simple access. 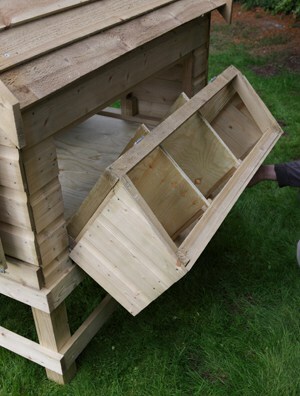 Also a slide out floor for easy cleaning.